Kushikatsu Daruma is a kushikatsu restaurant chain based in Osaka. 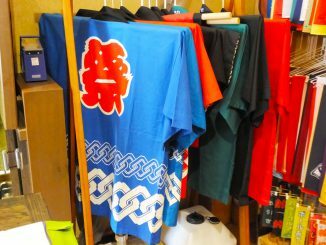 I went to Kushikatsu Daruma Hozenji-ten that is located near Hozenji Temple. 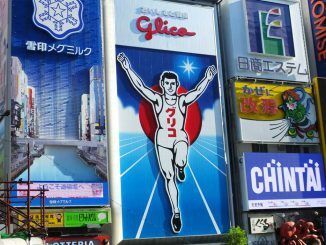 You can see the restaurant manager, Katsuya Ueyama in front of the restaurant. 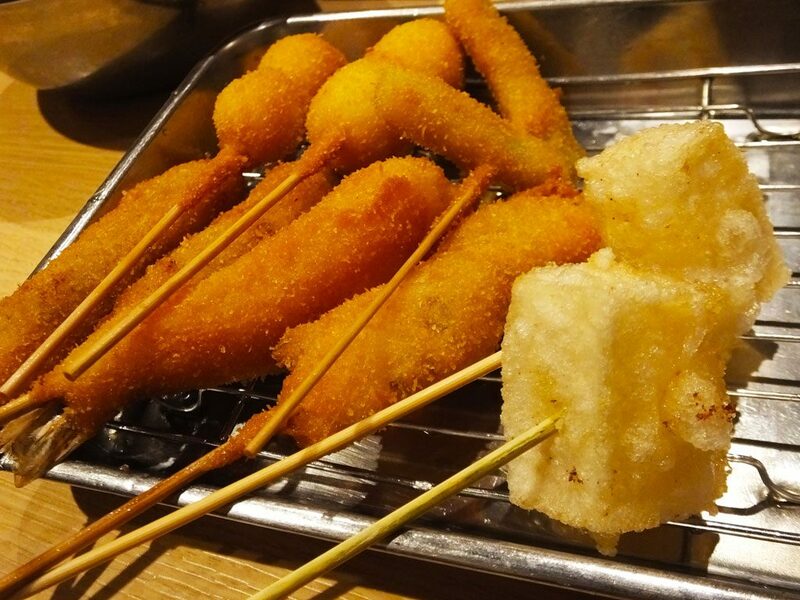 Kushikatsu (sometimes called kushiage) is deep-fried skewered food. Almost any ingredients can be used such as pork, meat, seafood, vegetables, rice cake, and so on. 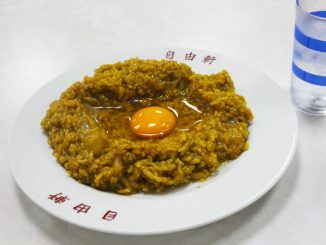 It is comfort food in Osaka that is eaten throughout the country today. It is commonly known that in Osaka you must not dip your kushikatsu in the sauce twice because the next person uses the sauce, too. Kushikatsu Daruma is proud of its special sauce because it took more than seventy years to create the sauce! It is not too thick, so it matches well with the crispy kushikatsu. Just like other kushikatsu restaurants in Osaka, Kushikatsu Daruma doesn’t allow you to dip the kushikatsu twice in the sauce. It might sound like the restaurant staff are stern, but this is because the restaurant hopes that everyone spends a comfortable time there. They are rather kind and considerate. 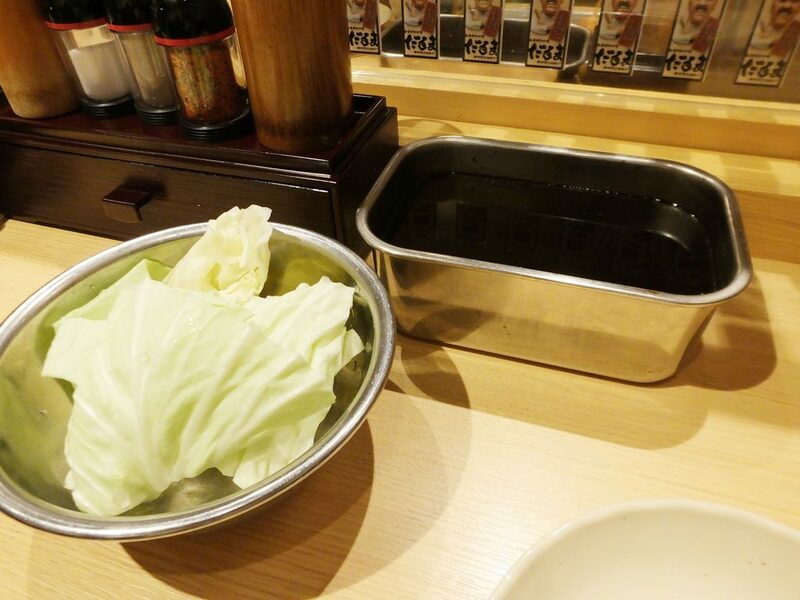 Moreover, you can eat the cabbage as much as you like for free. 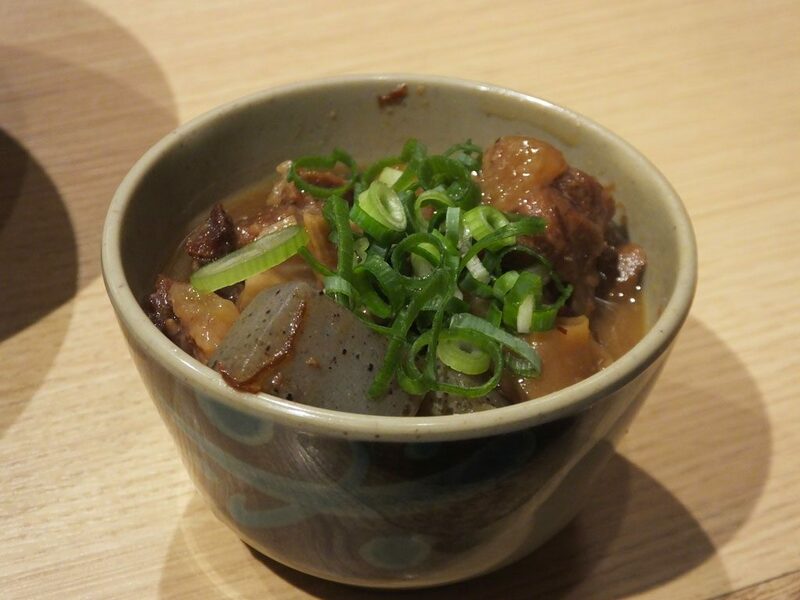 By the way, I ordered doteyaki (stewed beef sinew) because it doesn’t take long to be served. To prepare a dish like this is another kindness of the restaurant. Look at the next picture. They are kushikatsu of quail eggs, a prawn, rice cake and so on. I liked them all because Kushikatsu Daruma’s kushikatsu are fried with light oil and not very heavy for my stomach. The thin, light and crispy batter was to die for! I understand why Kushikatsu Daruma is so popular. Actually, it has been loved by many people for a long time since 1929 when it opened. Sometimes I see Kushikatsu Daruma on TV, and I feel it is loved by many people including TV celebrities. 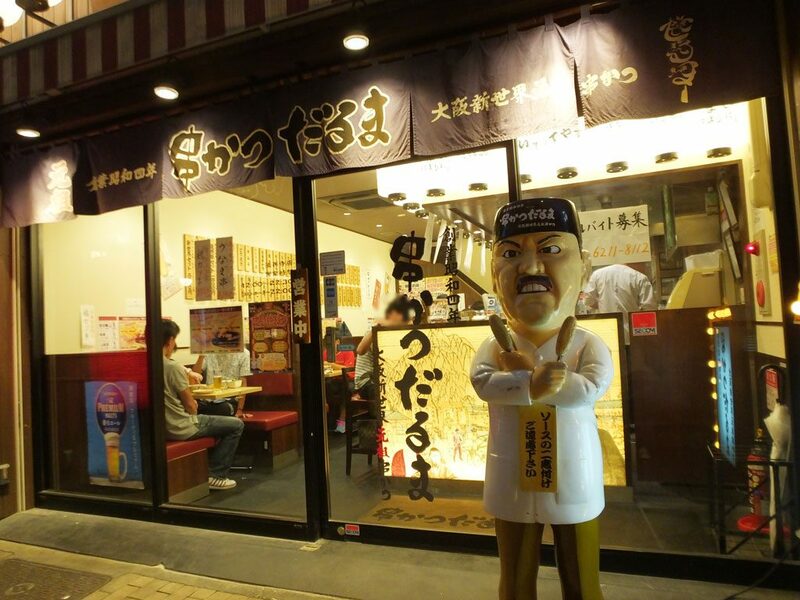 You can find Kushikatsu Daruma at many convenient locations in Osaka, so there is no reason not to try its kushikatsu.